line 345 that connects Port Pollensa – Pollensa. Please have in mind that this line in some of its connections has a stopover in Cala San Vicente, making the lenght of the journey longer. The duration of the trip is approximately 10-15 minutes. Alcudia old town is a must to visit if you are staying in the north area of Mallorca, and twice a week it has a daily market. The easiest way to get there is by public bus. 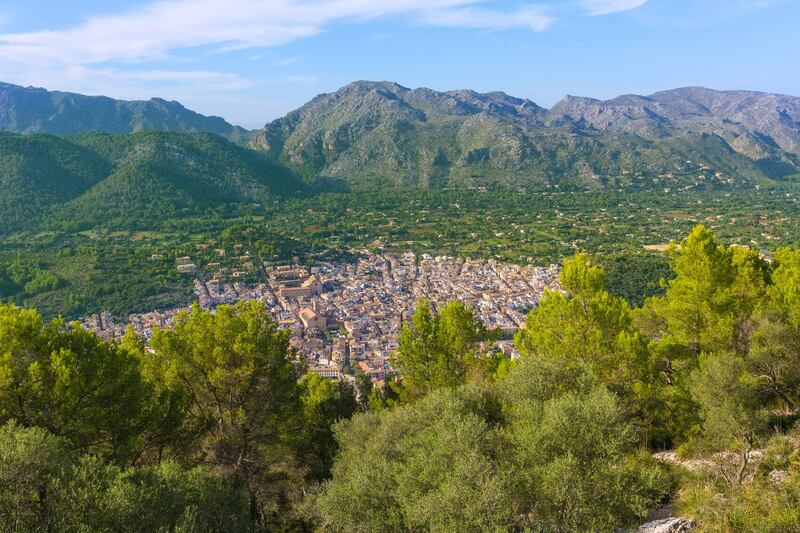 The line 352 connects Port de Pollensa with Can Picafort, and it stops in Alcudia old town and Port de Alcudia. This is probably one of the most popular local buses line as it connects two very popular resorts. The fee is 1,55€ and it runs from 08:00 until 22:00 every 15 minutes during the Summer season. Tucked away behinf the mountains and by the sea, Cala San Vicente is a small secluded place. It makes a really nice day out to go there, and to enjoy a swim in one of the coves you find there. The bus connections are a bit limited, as not all the buses from line 345 do a stop there, so make sure to check the timetables well. The fee is 1,50€. 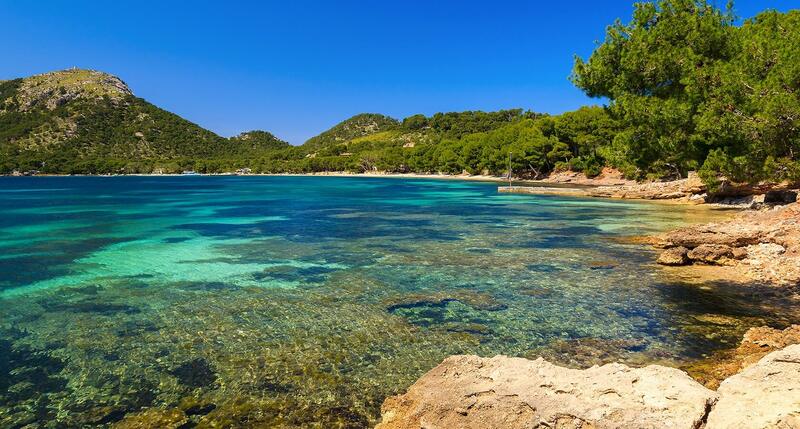 You can also get to Cala San Vicente walking, being another interesting suggestion. 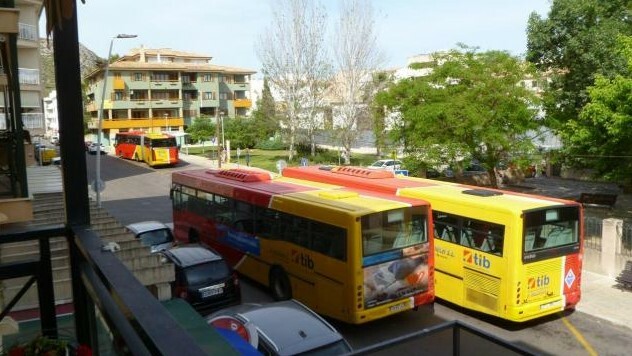 Another popular local bus used by locals and tourists that takes them to the capital of Mallorca stopping at the main bus station. From the main bus station, there is a 30 minutes walk to the Cathedral area. The bus line is number 340, it runs nearly every hours and it takes 80 minutes. The ticket price is 7€ per way. This local bus does stops in Inca too. English speaking guide on board who will give you some information on the way down about Palma, so once you get there you know where the main places are. Formentor beach is another popular destination from Port de Pollensa, and though local bus 353 can take you there for 1,50€ per way, we strongly reccomend to go there either by boat or on the Formentor organised tour by cabrio bus and boat. True it is more expensive but well worth it. Line 355 runs only once a day, and not on Sundays. It can be a good suggestion for those who want to go to Lluc Monastery, to look around and then either take the local bus back or to walk down. See this link for more information about the walk.